These instructions apply to mega menus only. In this example, we will distribute the “Installation”, “Mega Menus”, “Flyout Menus” and “Menu Item Options” menu items over 2 columns. 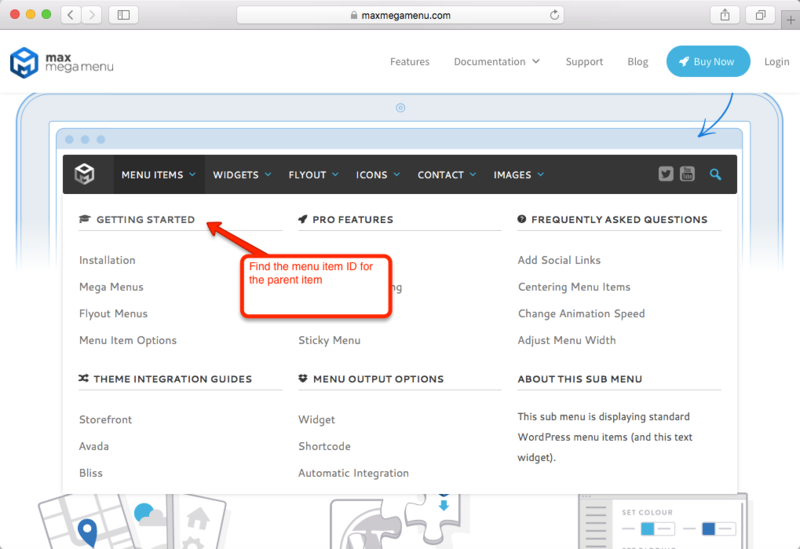 First, you will need to find the ID of the parent menu item (“Getting Started”). In your WordPress admin, go to Appearance > Menus and change the Event to ‘Click’. In the front end of your site, open the sub menu then right-click on the menu item and click “Inspect”. You should find an ID attribute that looks something like “mega-menu-item-25296”. In our case, 25296 is the ID of the “Getting Started” item. 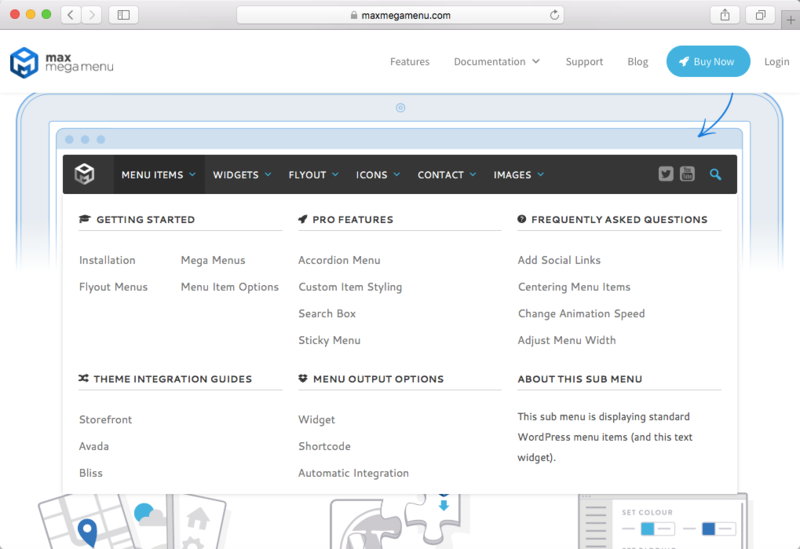 Go to Mega Menu > Menu Themes and enter the following CSS into the Custom Styling area. Important: Make sure you update the ID in the CSS so that it matches the ID of your menu item from step 1! After saving the theme you should find the sub menu items are distributed over 2 columns. You can change the number of columns to distribute items across by changing the ‘width’ option in the custom CSS (3 columns = 33%, 4 columns = 25% etc).